2016 was by far the worst year of my life, so in 2017, I thought about what was important to me and made a vow that I would turn my photography hobby into my career. Slowly but surely, I have begun to meet this goal, and today I can proudly say that I am truly fulfilling it. I have finally left my job I've kept for the past 3+ years to pursue photography full time. Ironically, the day after I resigned from my instructional designer gig, I was contacted by Unraveled Academy, an incredible online photography education site, whom I had emailed with suggestions for improving their online courses (because I'm obnoxious), and they asked me to join the team. So, looks like I'm back at it! But at least it's an opportunity to pursue both of my passions: education and photography. That being said, I'm busier than ever and desperately trying to get all my ducks in a row. The challenge of working for yourself is that it's hard to shut it off. 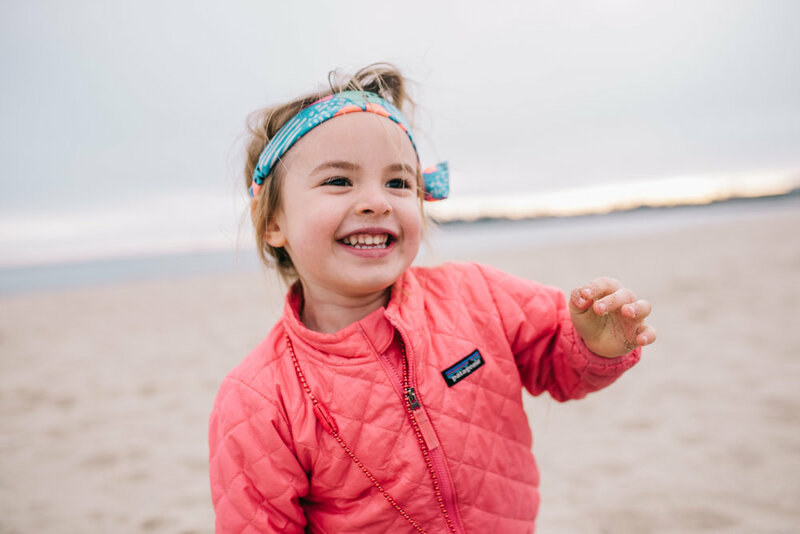 On top of it all, my 3-year-old has been giving us a run for our money the past few weeks and I notice that my lack of focus at home is causing her to feel ignored. Any tips on how to find a balance? I could use some suggestions! Luckily, she has preschool and her friends to help soften the blow of having to complete with a new baby and my husband's and my businesses for attention. 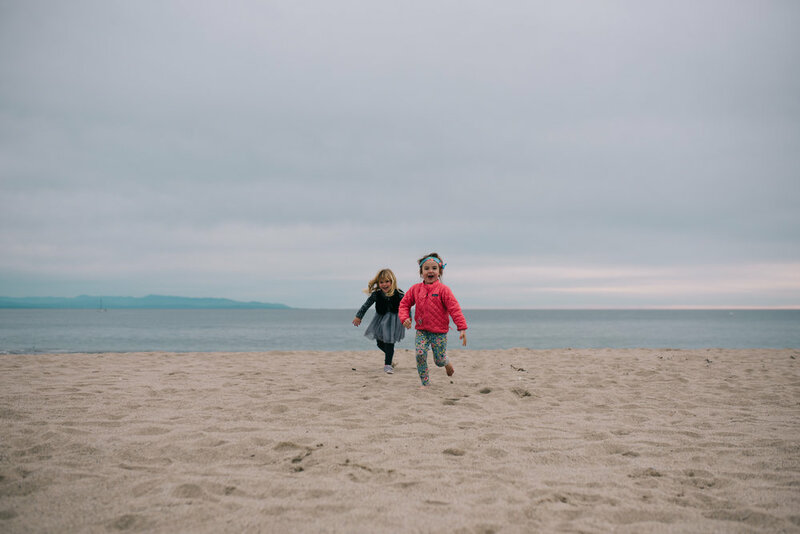 Here are some of Marin and her best friend, Katie playing on the beach on a cloudy Sunday evening. They could care less that it was cold and overcast. So cute.